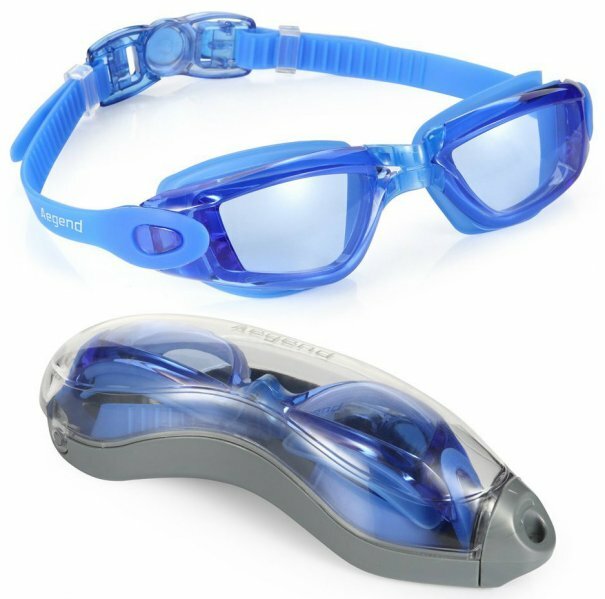 Swim goggles can enhance your swimming experience, whether you're in a pool or swimming outdoors. They can keep water and condensation away from your eyes so you can see clearly both above and below water. 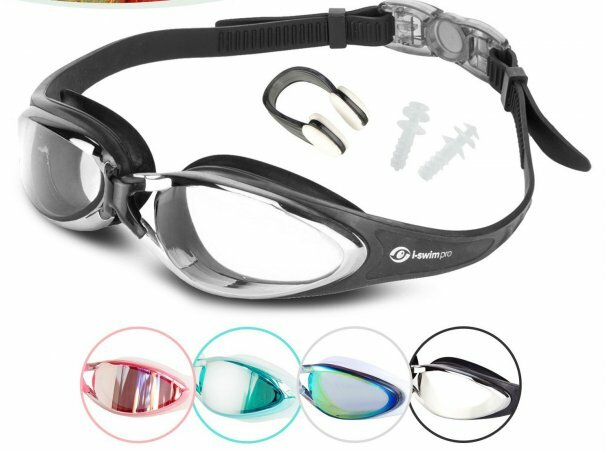 Swim goggles enclose and protect the area around the eyes, making them a must-have item for both beginner and expert swimmers. 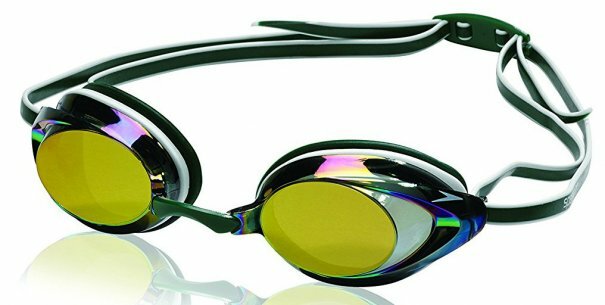 When you're shopping for swim goggles, you'll want to find something that provides great clarity, a comfortable fit, and anti-fog capabilities. 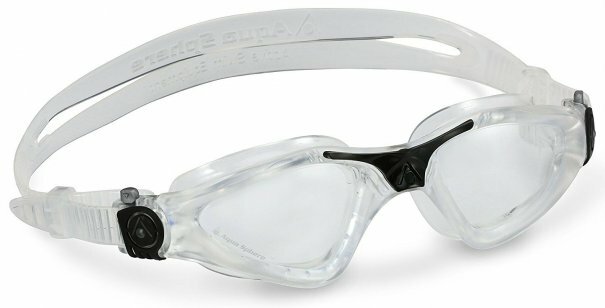 The Aqua Sphere Kayenne Swim Goggles feature curved, oversized Plexisol lens for a 180-degree wide field of vision, quick-fit push button buckle system, expanded visibility, and minimal visual distortion. The anti-fog, anti-scratch, leakproof lenses provide UV protection. They work in any lighting condition and can block glare on the water. The one-piece, hydrodynamic, super slim microframe is made of hypoallergenic Softeril and has a comfortable medium eye fit with easy adjustments and a comfortable silicone strap. These are available in various color and lens options. The Amazon best-sellers are recommended by The Wirecutter and Shape Magazine, and have more than 3,000 five-star reviews on Amazon. Amazon's Choice for swim goggles for adults, the Aegend Clear No Leaking Anti-Fog UV Protection Triathlon Swim Goggles come with a free protective case. The premium anti-fog, shatterproof, no-leak lenses come with UV protection. It has a 3D ergonomic design, flexible silicone frame and gasket, double-deck seal design, and easy-strap buckle. The light blue and clear lens offer better clarity. These are backed by a hassle-free 12-month guarantee and more than 3,500 five-star reviews on Amazon. The Speedo Vanquisher 2.0 Mirrored Swim Goggles includes soft silicone eye seals and interchangeable, adjustable nosepieces so you can achieve a custom fit. The anti-fog lenses offer UV protection and prevent water condensation for better clarity. The mirrored lens coating helps reduce glare. They have a snug, low profile inner eye fit and two-tone silicone double head strap for a better fit. These are available in a range of colors. The Amazon best-sellers are recommended by Shape Magazine and have more than 2,000 five-star reviews on Amazon. The i SWIM PRO Swimming Goggles have a comfortable fit thanks to soft silicone gaskets, flexible nose pieces, and a quick release clasp. The anti-fog, anti-shatter lenses offer UV protection, crystal clear vision, and 180-degree vision. They're also watertight and easy to adjust. The Amazon best-sellers are built to last. They're available in a number of colors and come with a strong protective case and free nose clip and ear plugs. They are backed by more than 1,500 five-star reviews on Amazon. 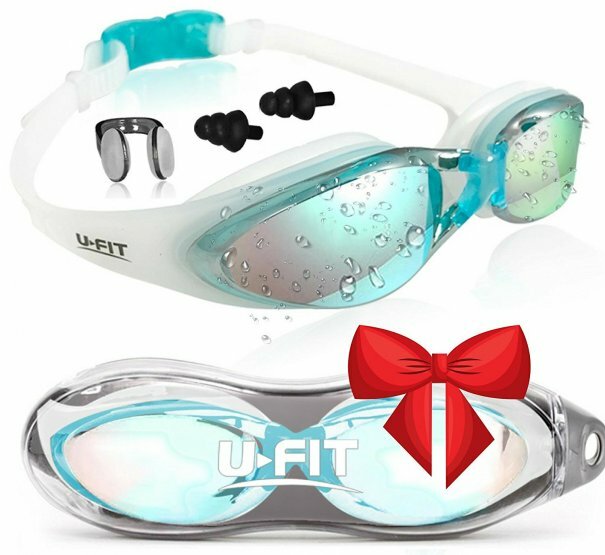 The U-FIT Performance Non-Leaking Anti-Fog UV Protection Triathlon Swim Goggles have a double layer seal and offer 180-degree wide vision. The 3D memory silicone goggles have a quick release strap for easy adjustments. The anti-fog, anti-shatter lenses have UV protection and offer better clarity. These are available in two colors and include ear and nose plugs and a protection case. They're backed by a satisfaction guarantee and more than 1,500 five-star reviews on Amazon. And those are our recommendations for the best swim goggles for adults. As always, be sure to check Wise Bread's Buying Calendar to learn when and how to buy just about anything!